Tari Kelly and David Elder in a romantic interlude in Stages’ production of “My One And Only.” Photo credit: Peter Wochniak. Nobody does a tap dancing show like Stages and nobody wrote better tap numbers than George and Ira Gershwin. 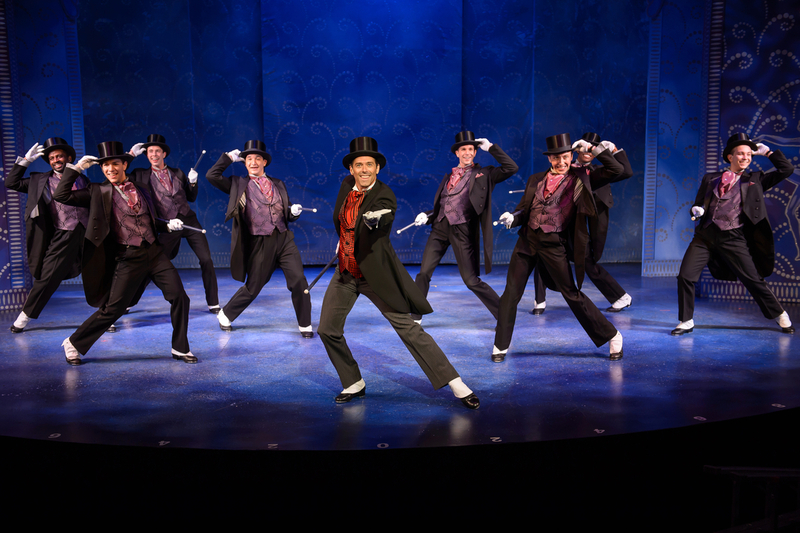 It all comes together in Stages’ final show of the summer, “My One And Only.” Like the current Broadway hit with Matthew Broderick, “Nice Work If You Can Get It,” this one was not an original book from the ’20’s but a compilation of tunes from the Gershwin songbook to create a new story. With “My One And Only,” Peter Stone and Timothy S. Mayer wrote the book and it was all conceived by Tommy Tune and Thommie Walsh. Stages makes it their own with precision tap numbers built around the sappy love story and the great music. In their typical flawless fashion, the performers in a Stages show dazzle you with their talents. Number after number combine to exhaust an audience almost as much as the on-stage dancers. An old favorite, David Elder, plays the Tommy Tune role of an American flyer in the ’20’s, Captain Billy Buck Chandler, who is determined to be the first to fly solo across the Atlantic. His plans are interrupted by another ’20’s phenomenon, a woman who swam the English Channel. This time in the guise of Edythe Herbert played- with a winning smile and taps to rival Ann Miller- by another St. Louis favorite, Tari Kelly. A wealth of typical musical comedy characters with a ’20’s hallmark abound including Dexter Jones as the tap guru, Mr. Magix. His duet with Elder to the title tune is one of many highlights in this fun show. 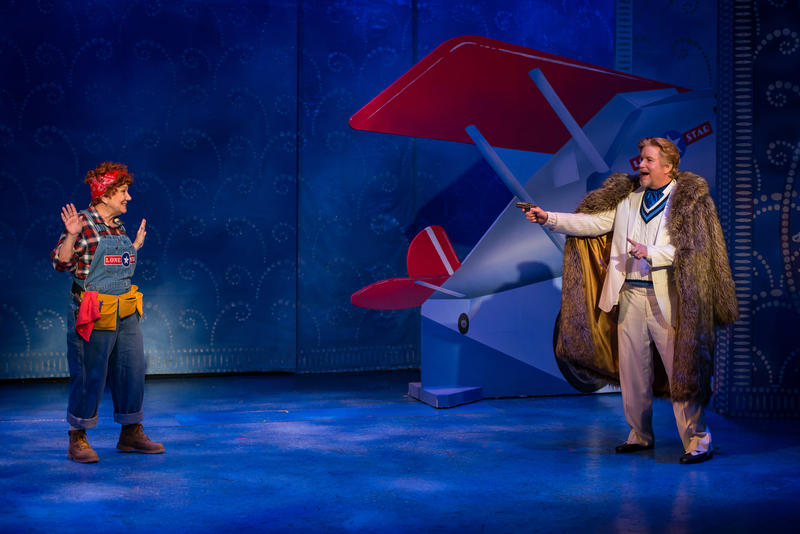 Also bringing us laughs and looniness are Steve Isom and Zoe Vonder Haar as a Russian prince- agent to Edythe- and Captain Billy’s mechanic (although she has a little surprise for him and the audience in Act II). Their relationship culminates in another one of those classic moments, Gershwin’s lovely song, “Funny Face.” And then we have a great comic turn by Larry Mabrey as a priest by day, nightclub owner by night. The chorus comes through like in no other show, however, as they just about steal the whole evening from the leads with their precision work on great tunes like “High Hat” which evolves into the music for “Sweet and Lowdown,” “I Can’t Be Bothered Now” and the luscious “Kickin’ The Clouds Away.” A specialty trio- the New Rhythm Boys- made up of C.K. Edwards, Richard Riaz Yoder and Borris York kick it up as well with several specialty numbers. Add to this the great solo numbers and duets by our hero and heroine like “Boy Wanted,” the unusual “Blah, Blah, Blah,” a wonderful water tap to “S’Wonderful” and the low key version of what is usually a big production number, “Strike Up The Band,” and you’ve got a light, fluffy but totally captivating production. Zoe Vonder Haar and Steve Isom confront each other in Stages’ production of the Gershwin’s “My One And Only.” Photo credit: Peter Wochniak. Director Michael Hamilton and choreographer Dana Lewis combine their specialties to bring it all together and the great scenic design and lighting effects of James Wolk and Matthew McCarthy respectively make this an even more dazzling evening of theatre. This is musical comedy in its purest form, folks and you won’t find it any better than the way Stages brings it to you. It may have been created in 1983, but the great Gershwin songs and the staging of “My One And Only” brings you back to the exciting and light-hearted roaring ’20’s when George and Ira were the kings of Broadway. 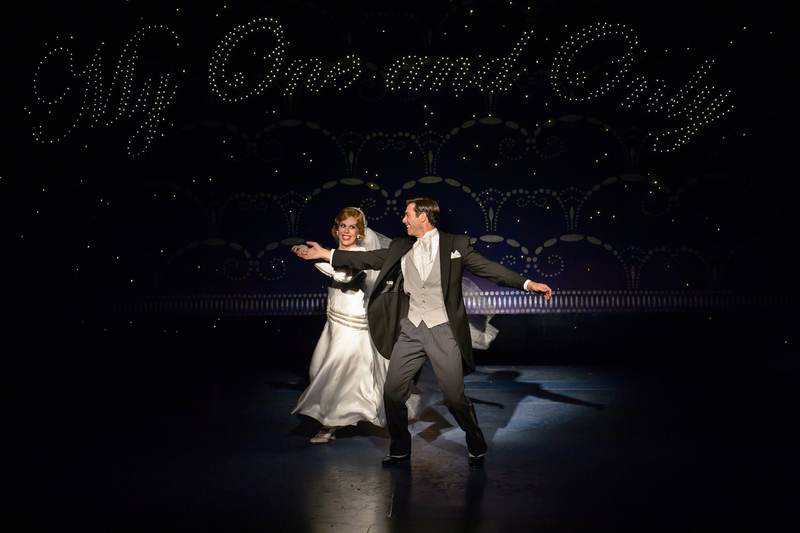 Enjoy “My One And Only” at Stages through October 7th. Call them at 314-821-2407 for tickets or more information. This entry was posted on September 15, 2012 at 9:43 am09 and is filed under Uncategorized. You can follow any responses to this entry through the RSS 2.0 feed. You can leave a response, or trackback from your own site.